Zone 3. 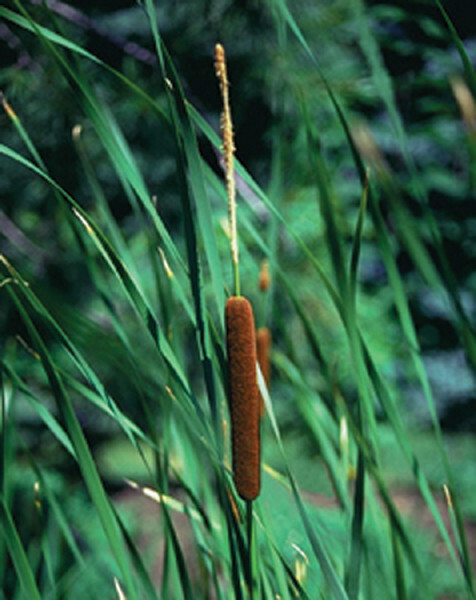 Narrow-Leaf Cattail. Flowers May, June. Narrow dark blue-green leaves. Tolerates brackish water. Perfect tall background for broad leaved foliage plants. 6' tall.